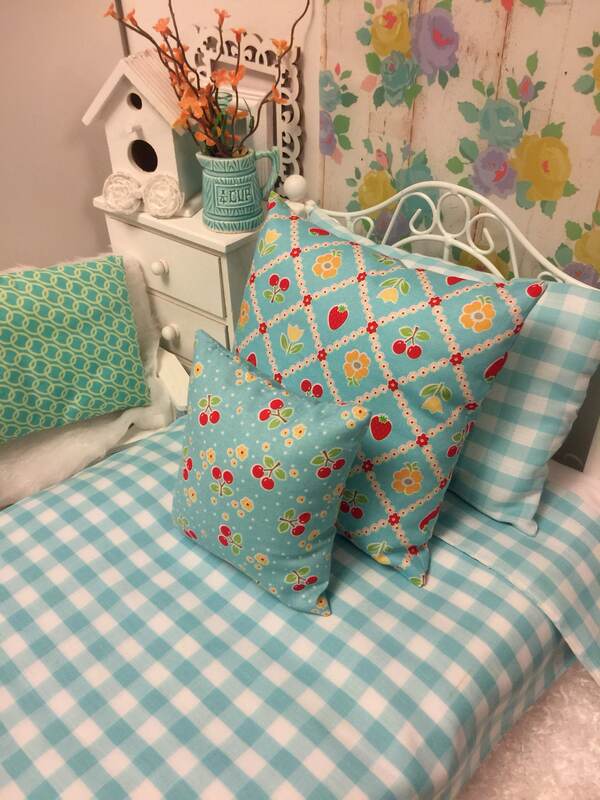 Doll bedding should be pretty! 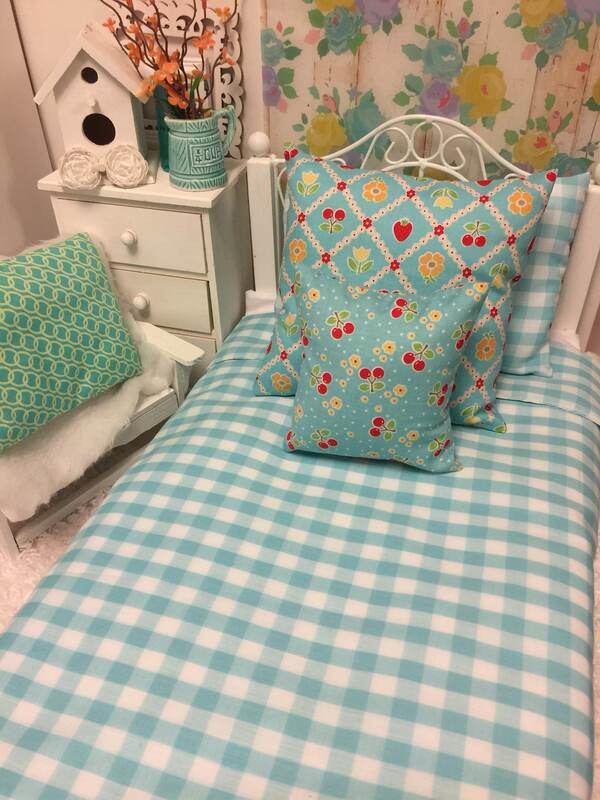 This bedspread is made with vintage aqua and white gingham cotton fabric. 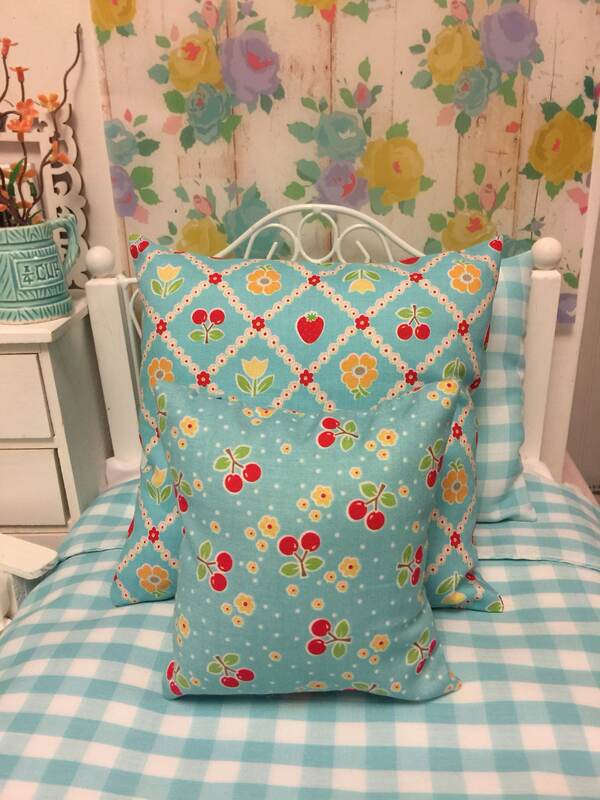 A matching rectangle pillow approximately 9” wide is towards the back. 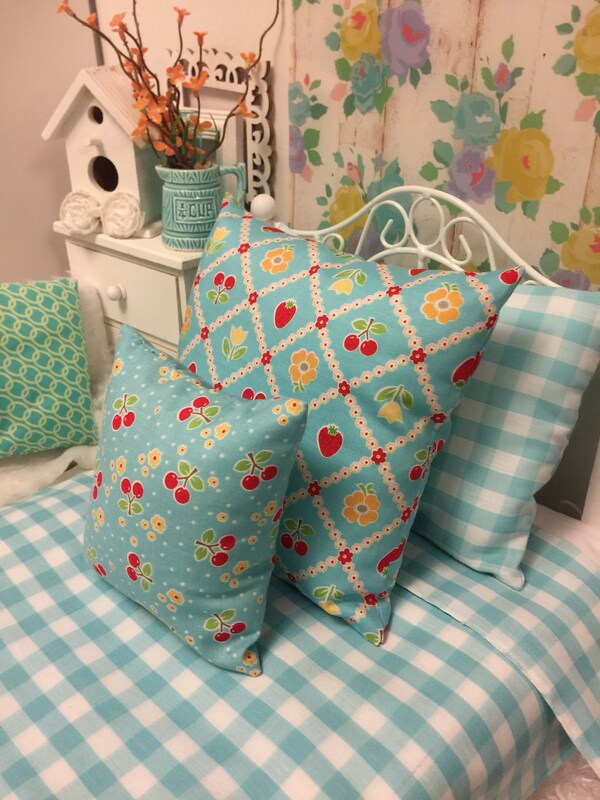 The two pillows in front are square and made using Lori Hots wonderful fabric line Sew Cherry. 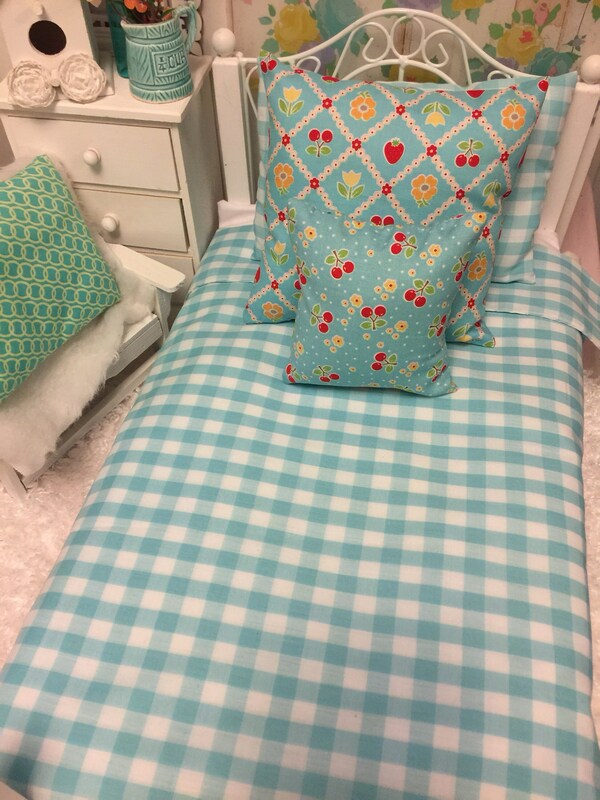 The comforter/bedspread is made a little longer - 20” so it can be folded back. Love this layered look. 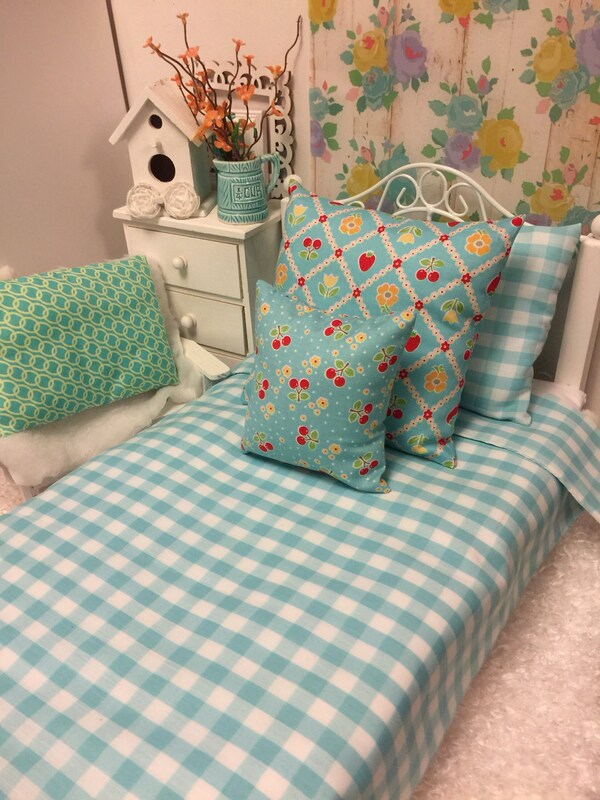 Additionally doll sheets can be add d for an additional layer. 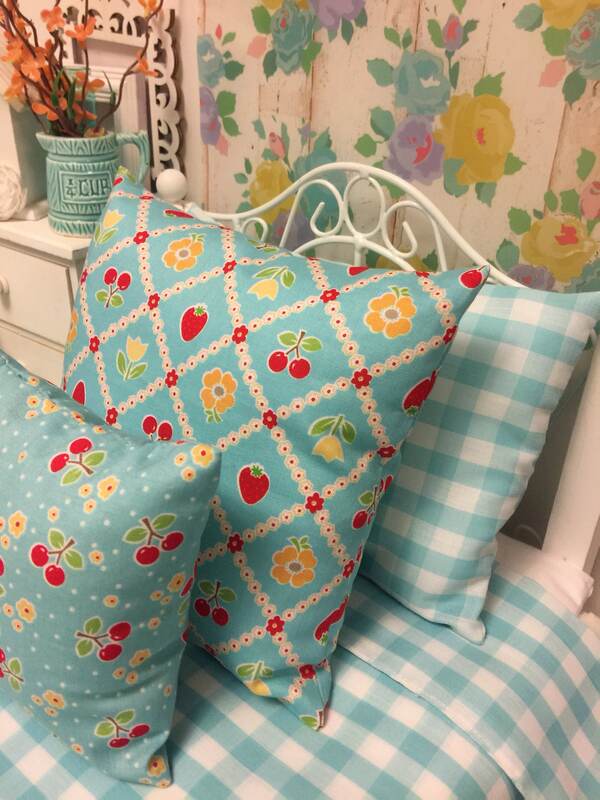 They can be found in my shop too! Look under the 18” doll section.